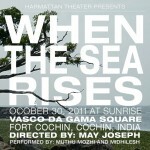 Vasco Da Gama Square, Fort Cochin, Cochin, India | October 30, 2011 at Sunrise. 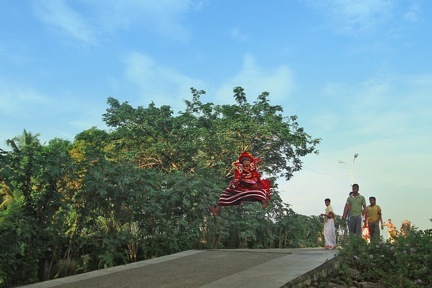 Choreographers: May Joseph and Muthu Mozhi. 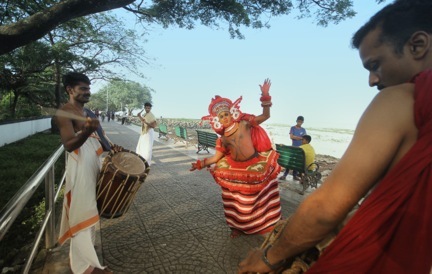 Theyyem Performers: Muthu Mozhi, Similesh, Aneesh. 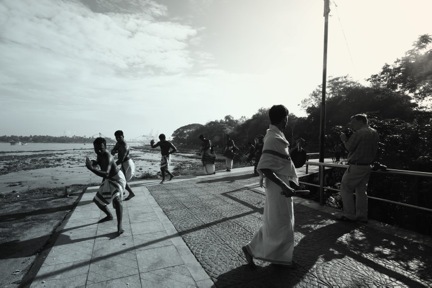 most famous resident lived in Fort Cochin during his last days, and was buried here, before postthumously being sent back to Portugal. 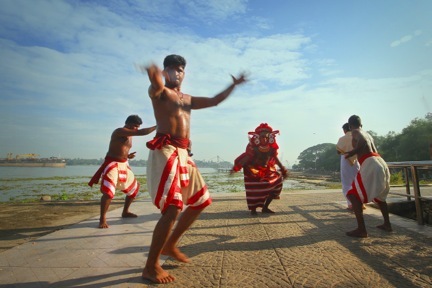 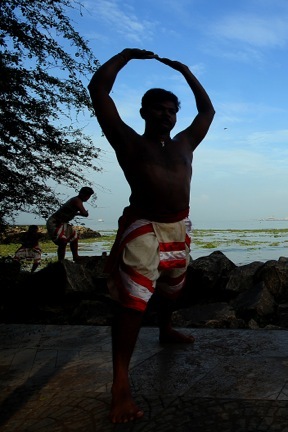 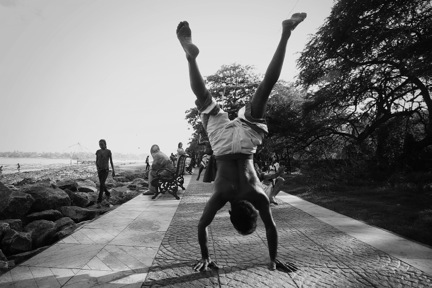 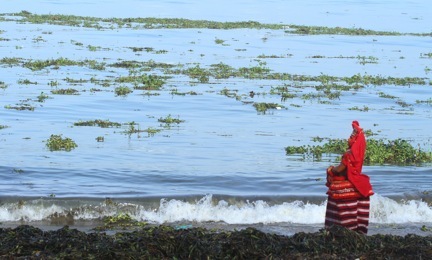 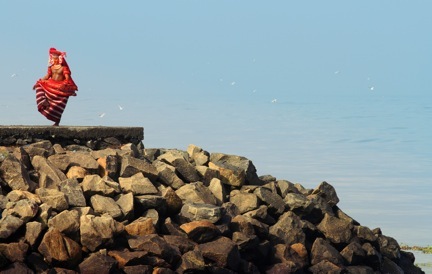 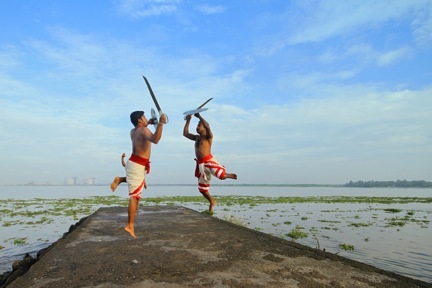 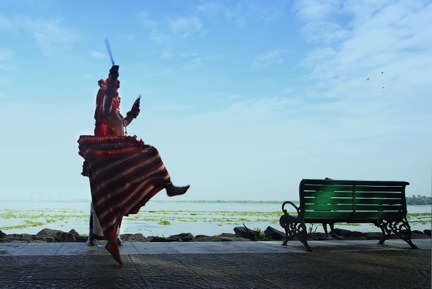 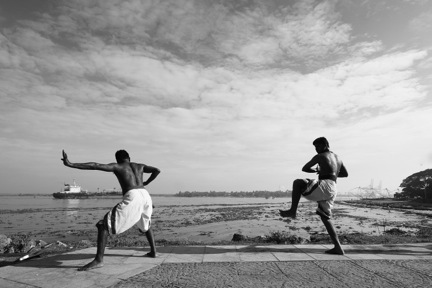 When the Sea Rises is a performance exploring both Fort Cochin’s cosmopolitanism and its ecological vulnerability. 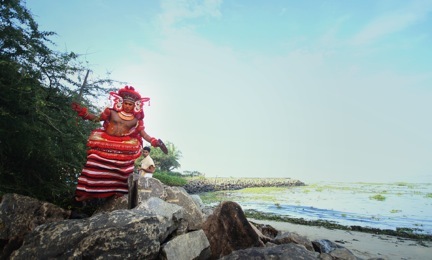 When The Sea Rises was a collaboration between local Fort Kochi performers trained in the Theyyem and Kalaripayyati movement traditions, and May Joseph, an environmental theater director trained in the Bharata Natyam dance tradition. 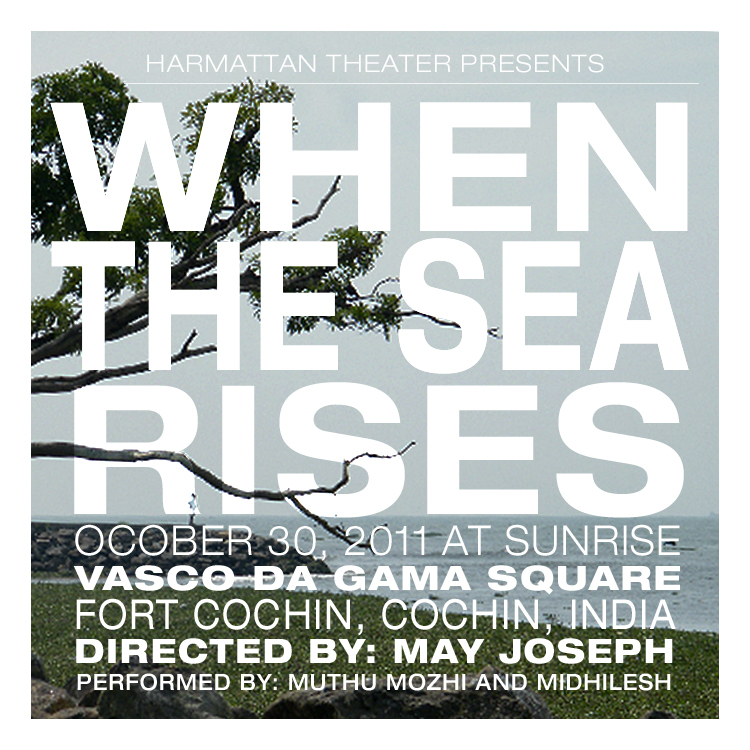 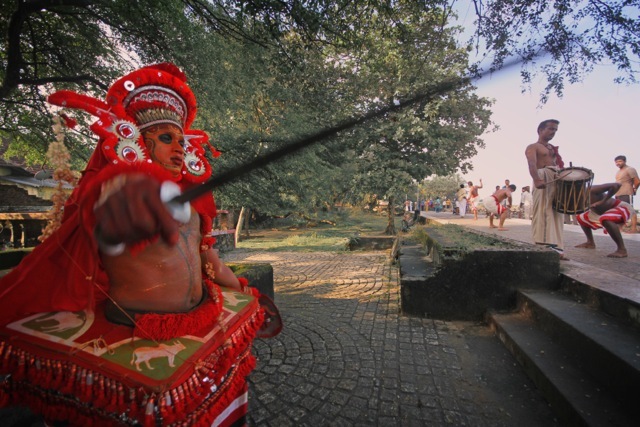 November 1, 2011 | Filed under Archive and tagged with Harmattan Theater, Indian dance, Indian Ocean, Kalaripayatti, Maritime Network, May Joseph, Muthu Mozhi, Portuguese India, Tanz Theater, Theyyem, Vasco Da Gama Death, Water performance.